Remember two weeks back I blogged about Cherry Rose Rolls on my blog, In my post I promised I will be posting about sourdough. 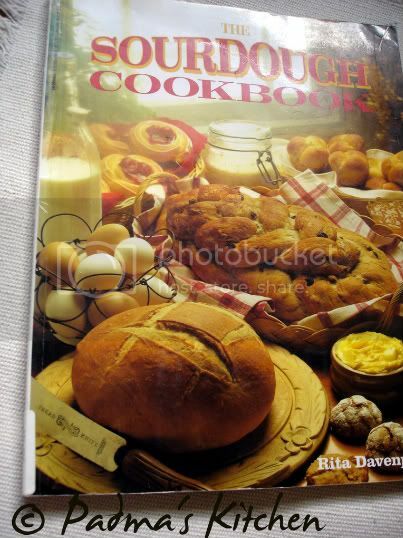 These days I am hooked to Rita Davenport's 'The Sourdough Cookbook'. This book has some incredible and yummy recipes for all, from breads, rolls, twists, biscuits, muffins to pancakes, waffles, cakes, cookies & brownies and main dishes too! Awesome, isn't it? I am drafting some of the goodies from her book in my blog. For centuries, sourdough was a mystery. According to one historical account, sourdough was discovered in the days of the Egyptian Pharaohs, about 5,000 years ago. An Egyptian noticed that some flour he left in an uncovered container had become wet and bubbles had formed in the mixture of flour and water. Not wanting to waste the dough, the Egyptian used it to make bread dough. The bread baked from this mysterious dough had a light texture and a tantalizing flavor. Today we know that moisture, wild airborne yeast and possibly some lactic acid bacteria fell into the open container of flour, causing fermentation. Yeast is a plant fungi that ferments certain kinds of sugars in flour and produces carbon dioxide. This expands the dough in baked products, making them light and porous. Although sourdough is a heritage from our past, it's an enjoyable part in our lifestyle today. Sourdough is natural. Homemade sourdough products contain few or no preservatives. 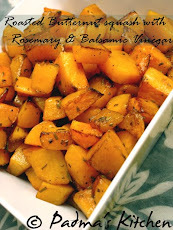 They are inexpensive source of vegetable protein, carbohydrates, important minerals and B vitamins. 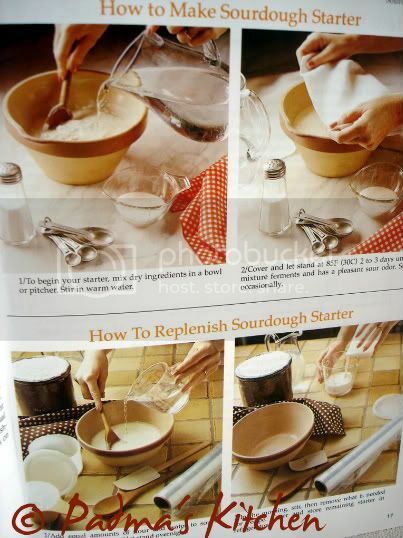 The basic ingredients in many sourdough recipes are sourdough starter, flour, liquid, sugar, eggs, fat and salt. Use the best available ingredients. The finished product is only as good as the ingredients that go into it. Sourdough Starter can be obtained by mixing the ingredients together yourself or by obtaining a cup of starter from someone else. The older the starter, the more tangy flavor. Because of variations in flour, water composition and local atmospheric conditions, you may find one starter recipe works better for you than another. Flour is the major ingredient in most of sourdough recipes. All-purpose or whole-wheat flours are used in all recipes. Rye flour is used in combination with wheat flour in some breads. Stir flour gently before measuring it to eliminate the need of sifting. Milk, water or fruit juices are used in most sourdough recipes. Sugar and other sweeteners provide flavor, color and texture in baked foods. Each sweetener has a delicate but distinctive flavor. Sugar blends well with the flavors of other ingredients. Honey and molasses are used as substitutes in several breads and cookies. Butter, margarine, shortening or oil are used to tenderize baked products and to enhance the flavors of other ingredients. Temperature is an important factor in the success of a sourdough recipe. Sourdough must ferment and rise at a temperature close to 85F (30C). Mix sourdough recipes in glass, stoneware or plastic bowls using wooden or plastic spoons. Any prolonged contact with metal will change the flavor. Store sourdough starter in a stoneware, glass or plastic container. The container should be large enough to allow for expansion of the starter to twice its original size. Be sure there is a small hole in the top of the container or the lid is ajar to let accumulated gas escape and for yeast to get air. If the mixture turns pink or orange, or if the starter is not replenished every seven to ten days, it may spoil; discard it immediately and start over. Don't discard the starter just because its age, merely replenish it. Occasionally pour all of the sourdough starter into a mixing bowl. Wash the storage container to remove flour buildup. If you are not using the starter for a while, it can be store in the freezer up to three months. In a 4 or 6 cup or plastic pitcher or in a large bowl, combine all ingredients. Beat with a wooden or plastic spoon. Fermentation will dissolve small lumps. Cover pitcher or bowl with lid. Cover bowl with a cloth. Set in a warm place free from drafts (85F, 30C). Let it ferment 2 to 3 days. Stir mixture several times each day. To use, remove starter needed for recipe. Refrigerate remaining starter in pitcher or in a plastic container with a lid that has an air vent or hole in it. Label container with contents. Replenish every 7 to 10 days by stirring in equal amounts of water and all-purpose flour. After replenishing, let stand at room temperature overnight. Return to refrigerator. If a clear liquid forms on top, stir back into starter. Mild sourdough flavor in a hurry. Double the recipe if you plan to do lots of baking. In a 4 or 6 cup plastic pitcher or in a large bowl, combine all ingredients. Beat with a wooden or plastic spoon. Fermentation will dissolve small lumps. Cover pitcher or bowl with lid. Cover bowl with a cloth. Set in a warm place free from drafts (85F, 30C). Let stand 6 hours or overnight. Starter will ferment, increase in size, then become thin and decrease to original size. Variation: You can use whole-wheat flour in place of all-purpose flour. Poor texture or colour, low volume or heaviness ~ Inferior flour, oven temperature too low, over rising, milk not scalded. Coarse texture or dry crumb ~ Too much flour, under-kneading, over-rising, milk not scalded. Undesirable flavour ~ Over-rising, inferior yeast or flour, too high temperature while rising, oven temperature too low, under-baked. Bread won't rise ~ Weak or inactive yeast, dissolving yeast in water that is too hot. Streaks through loaf ~ Poor mixing, under-kneading, too much flour on board, top of dough drying before shaping, using greased hands to shape loaves. Uneven shape ~ Too much dough for pan, improper molding or shaping, over-rising before baking, rising in a draft, pans touch in oven. Flat loaf that browns too quickly ~ Yeast killed with hot water, under-rising of loaf, over-rising of loaf which falls in center before completely baked. Porous bread with pale crumbling crust ~ Over-rising, too much flour, dough too stiff. Thick crust ~ Over-rising, under-kneading, oven temperature too low. Cracks in sides or top of crust ~ Dough too stiff, under-kneading, uneven heat in baking, too rapid cooling in draft. Tough crust ~ Inferior flour, too much salt, too much handling, needs more shortening. Pale crust ~ Too little sugar, too much salt, drying of dough during rising, oven heat too low. Bulging crust ~ Under-kneading, dough not punched down before shaping, loaf molded without removing gas bubbles, over-rising. Storing Sourdough Baked Goods : The absence of chemical preservatives and the presence of healthy, active yeast in sourdough call for special storing. Sourdough products will keep for two or three days at room temperature in bread boxes or other containers that retard drying. Wrap baked goods securely in plastic wrap or foil. To keep baked items for several days, wrap them well and refrigerate them. Sourdough baked goods can be frozen up to three months. 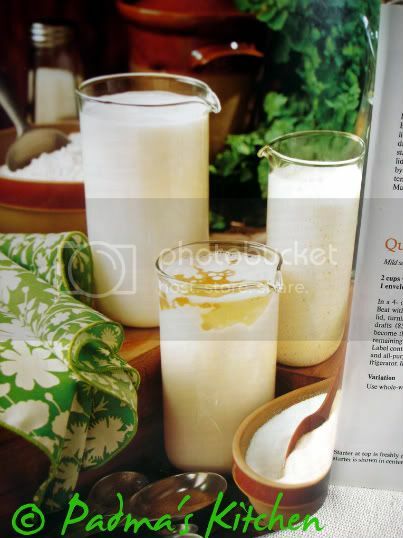 photo source: taken from "The Sourdough Cookbook"
All recipes in this book calls for using sourdough starter, the recipe is given below which has two variations, one which sits for 7-8 days and other is an overnight quick recipe for sourdough starter. There are many more recipes we can make out of this starter. Its up to you to explore. 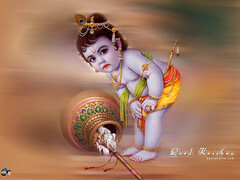 I will post few which I tried out. I hope you all must not be intimidated to try some baking with Sourdough starter, but I can assure you that its pretty easy to start. Hope my post inspires you to start baking some breads, rolls and many more goodies from sourdough starter. I love the flavour of sourdough but always thought that it was too much of a process to make it myself but reading your post makes it sound more doable... Thank you Padma.. Hopefully i'll do it soon. I love sour duough bread.I guess i don't have enough patience to make my own dough..:(.As cham mentioned you have a lot of patience! thanks for this primer on Sourdough! didn't know it was around since the time of the pharoahs! We used to bake our own breads till a few years ago - now we just get it form one of several excellent bakeries around. A local bakery Iggy's is one my favorite places for "whole wheat sourdough" bread. btw, yeast is a fungi and not considered a plant. and thanks again for a very thorough writeup. This is one direction I haven't gone so far.